Nothing clears out the cobwebs quite like a relaxing weekend away at the beach…. except a Tandem Skydive! Abbey Beach Resort is the largest resort in the South West and is the perfect place to relax and unwind in comfort. 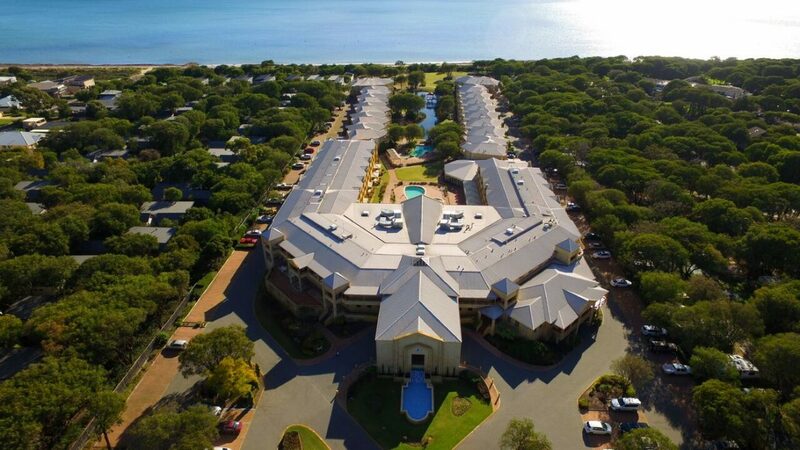 Set right on the beach in Busselton, Abbey Beach Resort boasts full resort facilities, not just serviced apartments. Our array of facilities include spa baths in every room, large balconies, three swimming pools (the indoor pool is heated), two restaurants, three bars, a sauna, a gym, tennis and squash courts and a playground. The fact that we have direct beach access that is a mere two minute walk from your room doesn’t hurt either. Transfers available and must be pre booked. If additional family and friends want to watch your skydive adventure and stay with you, additional accommodation charges apply.